Margaret Lovell-Smith speaks about remembering the New Zealanders who took a stand against World War 1. A colourful banner used by New Zealanders at anti-nuclear protests around the world has been gifted to Canterbury Museum. DSC Coordinator, Lucy Stewart, was interviewed about her disarmament work and the path that lead her to work in this field. Mahia kuia and long-time peacemaker Mrs Pauline Tangiora has recently been announced as the 2018 recipient of the Wisdom Fellowship Award by the Sacred Fire Foundation based in Berkeley, USA. 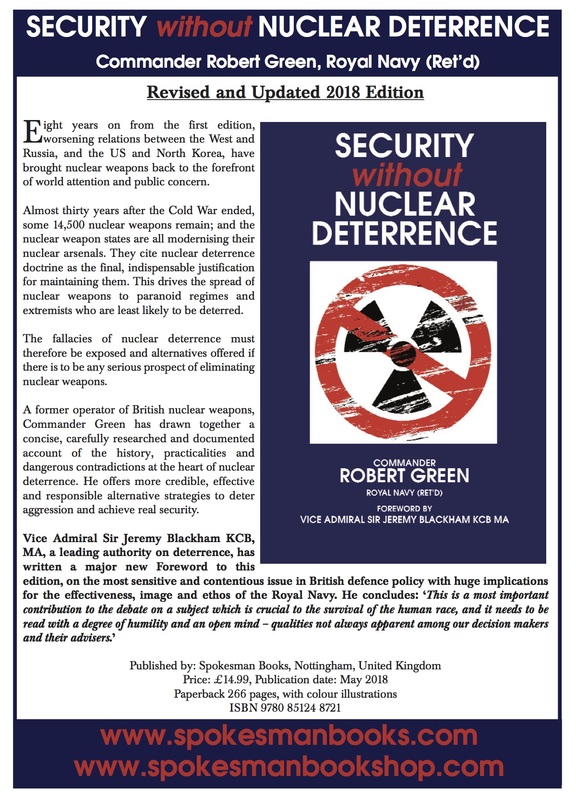 Eight years on from the first edition, worsening geo-political relations between nuclear weapon states have brought nuclear weapons back to the forefront of world attention and public concern. Kate Dewes and Robert Green speak to Golden Bay Peace group about nuclear disarmament, nuclear free New Zealand and the UN Treaty on the Prohibition of Nuclear Weapons. The United Nations made history when it adopted a Treaty on the Prohibition of Nuclear Weapons, breaking a 20 year deadlock in multilateral nuclear disarmament. With 122 member states in favour, the UN's Treaty to Prohibit Nuclear Weapons has been officially aproved. 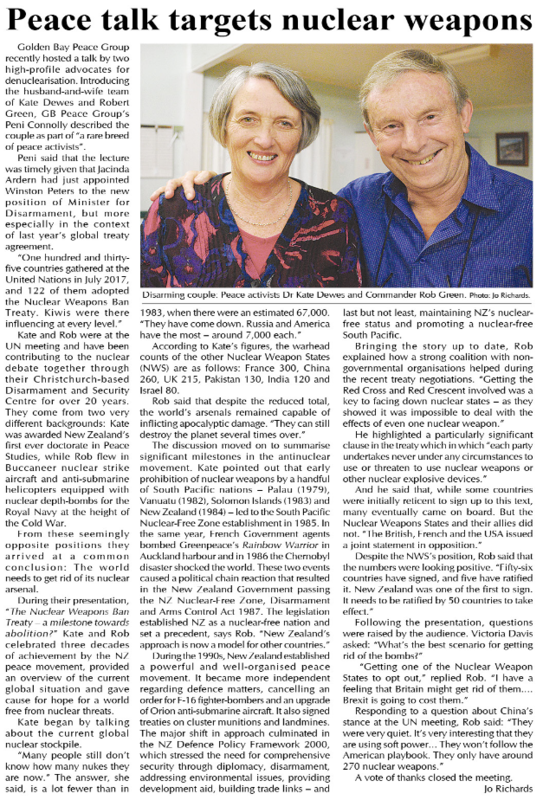 However, the treaty has been criticised, by countries with nuclear weapons, as well as..
Thirty years after signing historic anti-nuclear legislation, Kiwis continue to stand against world-ending weapons. Two Christchurch activists will be at a United Nations conference in New York next month to help negotiate a treaty to ban nuclear weapons.